We know a good monitor when we see one here at T3.com, because we review and rate the best on the market, which is why this excellent Samsung curved LED monitor deal has well and truly peaked our interest. It's a great monitor and an even greater price discount. 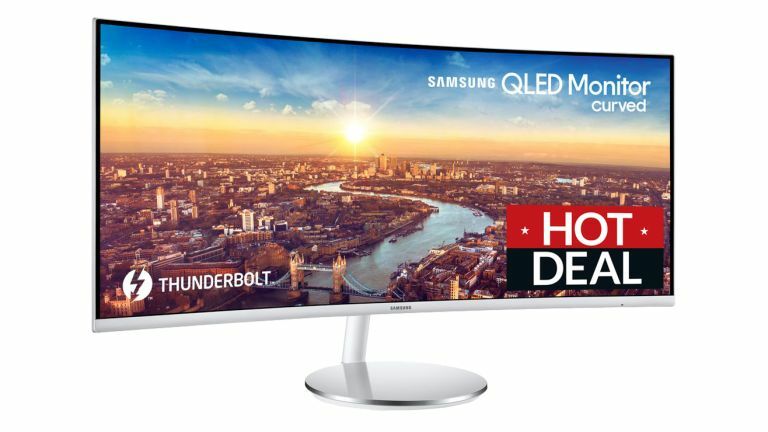 The monitor itself is the Samsung C34J791 34-inch Curved LED Monitor, which is a Quad HD, 3,440 x 1,440p resolution panel with response time of 4ms and built-in speakers, while the discount is a very impressive £250. If you like the look of the Samsung C34J791 but would prefer a non-curved 4K monitor, though, or if you are a big PC gamer a dedicated gaming monitor, then be sure to also check out our authoritative best 4K monitors and best gaming monitors guides, which are stuffed full of top recommendations.